The Department focuses on the research of general theoretical and practical problems of ethnic policy, political history, church and ethno-confessional relations. development of recommendations to authorities and administrations on optimization of ethno-national policy. Ukrainian Priorities in Geopolitical Space (1995-1998). National Integration in Multicultural Society (1999-2001). Ethno-Political Relations under Circumstances of Social Transformation in Ukraine (2002-2004). Starting from 2005, the Department is working on the topic “Regional Aspects of Ethno-Political Development in Ukraine in 1992-2007”. In September 2003 the Department held the All-Ukrainian Scientific and Practical Conference “Ethno-Political Science in Ukraine: Gains, Problems, Prospects”. In 2004 the Department was the base to fulfill the unplanned topic “Ethno-Political Sphere of Ukraine: Retrospective, Nowadays, Prospects”. In 2005 the Department was the base to fulfill the unplanned topic “Regional Versions of Ukrainian National Idea: Common and Different”. The research in the sphere of political history is conducted by the Centre of Historical Political Science (headed by Professor Y.I. 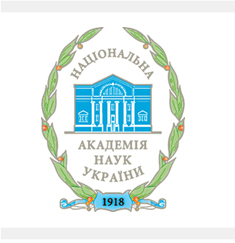 Shapoval, Doctor of Historical Sciences), a part of the Department structure.